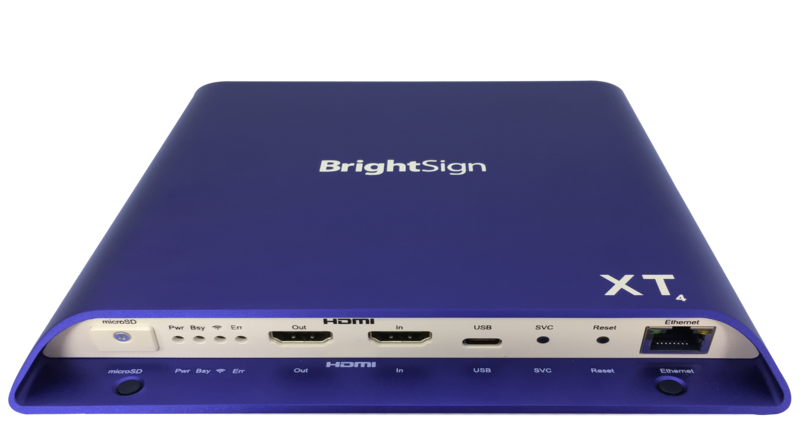 BrightSign XT1144-T complies with the Trade Agreements Act (TAA) and is approved for sale to the Federal Government. It delivers unsurpassed performance for enterprise applications with a powerful 4K video engine, our fastest HTML and graphics engine and our most powerful CPU. 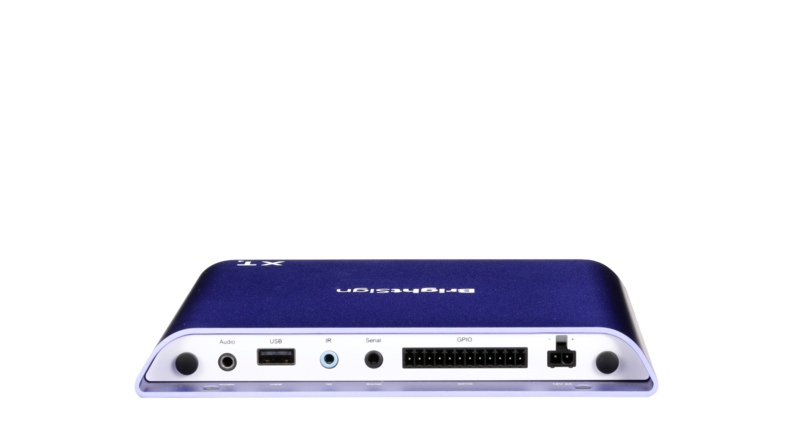 Includes the expanded I/O package of Gigabit Ethernet with PoE+, GPIO, IR, analog/digital audio, an M.2 SSD PCIe interface, serial, dual USB (type A and C) and Live TV playback via the HDMI 2.0a input. This product is designed in the USA and manufactured in Taiwan. 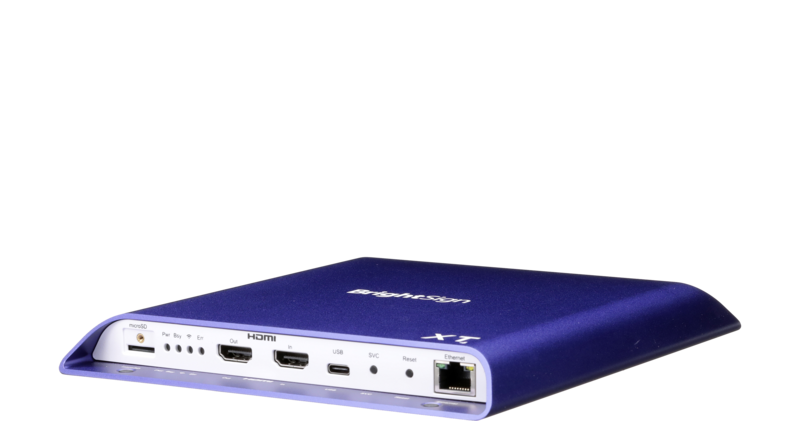 The XT1144-T has the video and graphics processing abilities for a no compromise, immersive digital signage experience. Integrate Live TV, flawless 4K video, steaming social media and swipe/gesture interactivity to deliver a high-end government office experience. Point visitors in the right direction with an interactive HTML5 wayfinding experience. Enhance the display by delivering Live TV news broadcasts, social media feeds and interactive event listings.